Houses in the Netherlands, of which there is great shortage, come in different styles. If one is lucky, one lives in a "herenhuis" – an old multi-storey house – or in a "grachtenpand" – a very big house at a canal -, but more common would be a "rijtjeshuis" – one of the many identical houses in a row. 1. "Pannenkoekenhuis": pan cake house/restaurant. Only in this case it is common to use "huis" instead of "restaurant". 2. "Ik ga naar huis." 3. "Heb jij een koophuis of een huurhuis?" "Hoe laat ben jij thuis?" 2. "Dakloos": homeless (literally: roofless). 3. "Makelaar": real estate agent, broker. 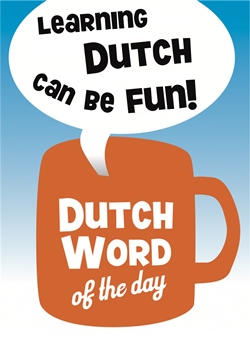 This entry was posted in Dutch word of the day, DWOTD 1.0, Vocabulary Basic and tagged huis, woning by Dutch Gurus. Bookmark the permalink.